In recent years, beards have returned with a vengeance. They are being donned by practically every male, from TV personalities to the artsy hipsters in Williamsburg sipping on a beer. However, not everyone has been able to join in on the trend. Some men just can’t grow beards, and even their lives depended on it. They have what I have aptly named “baby-face syndrome.” This, of course, is not a real medical condition but is something that many other men and I suffer from. I am always being teased about my “baby face” and my inability to naturally grow much facial hair. Biotin is a vitamin that is needed for a healthy nervous, digestive and cardiovascular system. It also helps us stay looking young and attractive, by helping us maintain healthy hair, nails, and skin. However, the real reason that Biotin caught my attention was not only its potential benefits on my beards, but it’s surprising role (combined with chromium) on lowering blood sugar levels in people with diabetes. Biotin helps lower blood sugar levels because of its activity of insulin, which is the essential hormone that regulates our blood sugar back to a normal state. Better insulin response contributes to reducing the risk of fluctuating blood sugar levels, which can lead to pre-diabetes, type-2 diabetes, weight gain and other medical issues. 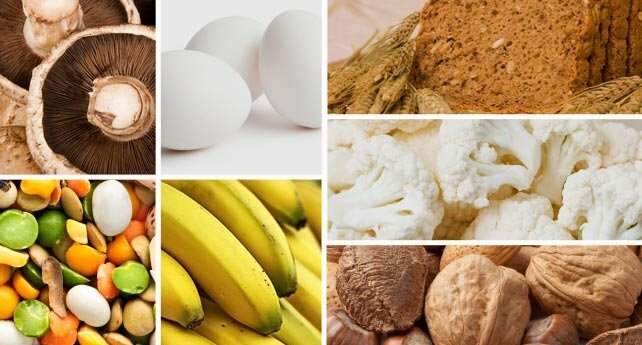 While we discussed Biotin’s functions in improving blood sugar levels and maintaining healthy hair, skin, and nails, this vitamin has a few other roles. 1. According to Dr. Peters at the University of Oxford, Biotin benefits the health of the nervous system. Because of the role of B vitamins in synthesizing hormones that are related to mood regulations, B vitamins like Biotin can help boost energy and increase concentration. 2. Also according to Dr. Peters, Biotin is needed for a healthy thyroid and adrenal activity. According to Dr. Josh Axe, the thyroid and adrenal gland are “master” glands responsible for multiple body states, including hunger, sleep, pain perception, mood, and energy. 3. Dr. Peters once more assert that Vitamin B7 helps in the growth and maintenance of bodily tissues, including the building and repairing of muscles. Biotin helps in muscle and joint pains. Biotin also plays a significant role in pregnancy and is highly recommended. “A deficiency in vitamin B7 and other B vitamins can stunt growth and result in improper development in fetuses and infants” according to Dr. Axe. 4. According to Dr. Axe, Biotin plays a vital role in the health of our cardiovascular system. Together with Chromium, it can help improve cholesterol levels. Biotin has been shown to increase “good” HDL cholesterol, while at the same time lowering “bad” LDL cholesterol. Biotin deficiency is very rare, because most of our foods contain biotin, and the body efficiently recycles much of the biotin used. Biotin can be found in meats, eggs (exclusively in the yolk), avocado, cauliflower, berries, fish, legumes, whole grain bread, salmon, yeast, liver, and mushrooms. Biotin levels, however, can be affected by long-term use of oral antibiotics, intestinal malabsorption, and eating raw egg white to name a few things. Symptoms of biotin deficiency include muscle aches, cramps, mood changes, dry irritated skin, brittle hair, hair loss, chronic fatigue, and digestive issues.